One Whole Step for Man is a collection of 20 entertaining and inspiring songs about space exploration. Written by eleven contemporary composers, including David Bass, Jonathan Coulton, Andrea Gaudette, David Haines, Ruth Hertzman-Miller, Daniel Kallman, Bruce Lazarus, Tim Maurice, Brian May, Lauren Mayer and Molly Ruggles, One Whole Step for Man will be performed by the NCFO Science Festival Chorus as part of the thirteenth annual Cambridge Science Festival, April 12-21, 2019. The performances will also include a medley of songs composed by Cambridge Public School students under the direction of David Haines, as part of David's CPS Songwriting Workshops, and a mini-opera composed by local kids with guidance from Boston Lyric Opera. The entire program will be accompanied by a slideshow of song lyrics and children's artwork. The 2019 NCFO Science Festival Chorus comprises more than 40 adults and children (ages 6 and up) from Cambridge and surrounding communities. A complete set of lyrics from One Whole Step for Man is available HERE. You may peruse/download the program booklet from One Whole Step for Man HERE (when it has been completed). See below for demos of the music from One Whole Step for Man and information about the composers and lyricists who wrote it. 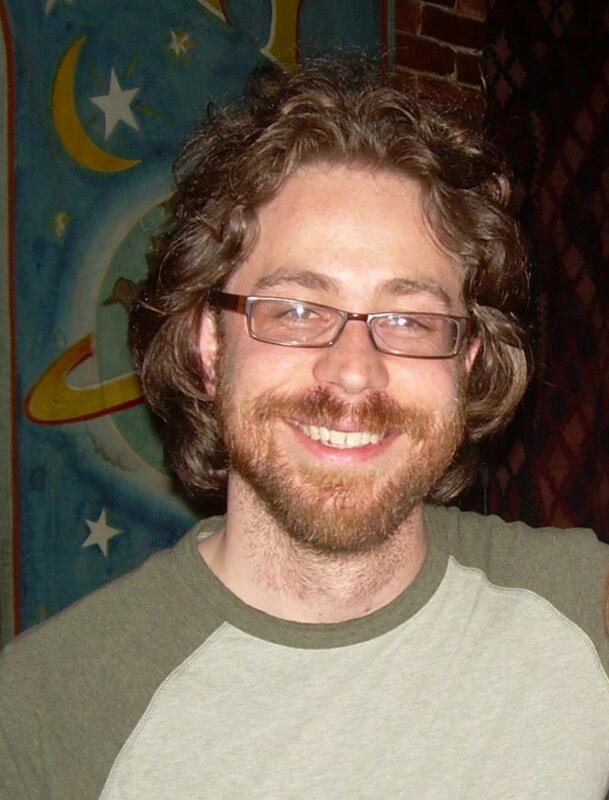 Jonathan Coulton attended Yale University, where he sang close harmony and prepared for a life of writing software. He quit his day job in 2003 and has attracted a vast, loyal following of fellow social misfits with his quirky, geeky humor and considerable skill as a songwriter and performer. His major works include such anthems as "Code Monkey", "Re: Your Brains", and "Skullcrusher Mountain". I'm Your Moon – In 2006, after the International Astronomical Union downgraded Pluto to a "dwarf planet", Mr. Coulton wrote "I'm Your Moon", a song of consolation sung by Charon to her sister Kuiper Belt object. write music, has attracted a loyal following, and has a beard. he can avoid taking himself too seriously. Droids in Space (world premiere) – Sending humans into space is exciting and romantic, but costly and dangerous. Miniaturization, automation and robotics have advanced to the point that there is little people can do in space that can't be done better and more cheaply by machines. age 14, when her first job carried the title "substitute organist"
lives in Cambridge with her husband and 21-year-old daughter. They have been active in NCFO since 2006.
shield integrity upon reentry in earth's atmosphere. currently substituting in Marin County, California. Re-entry (additional lyrics by Richard S. Gaudette, world premiere) – Spacecraft returning from the moon encounters the Earth's atmosphere at nearly 25,000 miles per hour. Air friction increases the heat shield temperature to about 5000ºF. Without a light, strong heat shield that could dissipate heat by several mechanisms, Apollo missions wouldn't have been possible. Trees (written with young school children, world premiere) – Like David Haines, Andrea Gaudette works with young children, guiding them as they write songs about some aspect of their science curriculum. Inbal Alon's ESL class from the Graham & Parks School makes a guest appearance at One Whole Step for Man. Brave Stars (written with school children, world premiere) – The libretto, music, and piano sound effects for this mini-opera were created in a workshop for 2nd-4th graders held at the King Community School in Cambridge, directed by Andrea and Lydia Jane Graeff, co-sponsored by Boston Lyric Opera. The finale aria was composed in a workshop with Debbie Sullivan’s 3rd Grade music students at Graham and Parks School. NCFO chorus members Verity Gould and Ellen and Yifei Sun completed the music. Andrea then added orchestration to complete the piece. The opera's story was inspired by a fascinating field trip to the Harvard Smithsonian Observatory. worth visiting. If you do, David invites you to stay at his lovely Airbnb. Cool Moon – A haunting account of the Moon's cold lifelessness. Surprisingly, there is water beneath the lunar surface and in areas of craters in perpetual shadow, potentially a valuable resource for future human settlements there. Dawntreader (world premiere) – Chemical rockets are not the only method for propelling spacecraft into and through space. We can also tap into energy from Earth's rotation, orbital motion of other planets, electrostatic repulsion of ions, and the solar wind, among other sources. Exoplanet Explorer – David says his meeting with MIT Astrophysicist Sara Seager in her 14th floor office overlooking the Charles River was an inspiring glimpse into a modern-day explorer’s mind. "She’s evidently a rigorous scientist who moves freely and easily in a mathematical world I can only vaguely appreciate, but she’s driven by a passion to explore our cosmos and is riding a wave of tangible excitement towards the near-certain discovery of an Earth-like planet – perhaps even bearing life – within the next few years." Composed as the Cambridge Science Festival composer-in-residence. Solo by Sarah Eastman. ISS - Yes, Yes, That's Me! (world premiere) – The first modules of the International Space Station were put in low Earth orbit in 1998, and this orbiting observatory/ laboratory/low gravity factory has been continuously occupied for more than 20 years. A joint venture between the American, Russian, Canadian, European and Japanese space agencies, ISS is also envisioned to provide transportation and maintenance, and to act as a staging base for possible future missions to the Moon, Mars and asteroids over the next decade. Planetary Family Tree – The planets of the solar system are named for characters in Greek and Roman mythology. Unsung Hero – Without Michael Collins staying in the Lunar Orbiter, Neil Armstrong and Buzz Aldrin never could have been the first to walk on the moon. Guinea Pig on the Moon – Newton's Law of Universal Gravitation predicts guinea pigs will weigh different amounts on different planets, proportional to the mass of the planet divided by its radius squared. For the moon that works out to about 1/6 Earth's gravity. Ruff Ruff Universe – Sirius, the Dog Star, is a binary star in Canis Major and is the brightest star in the night sky. It is one of the closest stars to Earth, but still 50.6 trillion miles away (pay no attention to those other digits, they're not significant). A Little Push Goes a Long Way – If you think you know what gravity is, Einstein's Theory of General Relativity will quickly disabuse you of that notion. Space Time-Out (world premiere) – If a spacecraft were to make a round-trip voyage at very nearly the speed of light, significantly less time will have elapsed on the ship than back home on Earth. Space Time-Out includes quotations by Albert Einstein and Brian Greene and a musical quotation by Mozart. music for worship, theater, dance, and the young musician. and a wide variety of vocal and instrumental ensembles. works are catalogued on his website. Christine Kallman is a playwright, lyricist, poet and musician. has received several commissions to write hymn texts. Earthrise (world premiere) – Observations of our home planet made by astronauts orbiting Earth. The text for this song draws from comments made by astronauts who have experienced the view of Earth from outer space, including: Ron Garan (NASA), Jean-Francois Clervoy (France), Yuri Gagarin (Russian, First Human in Space), Karen Nyberg (NASA), Sandra Magnus (NASA), James Irwin (NASA, Apollo 15), and Mike Massimino (NASA). Einstein-Rosen Bridge Strut (world premiere) – Faster-than-light travel is impossible, but in 1935, Albert Einstein and his colleague Nathan Rosen used the Theory of General Relativity to propose the existence of "bridges" through space-time. These bridges connect two different points in space-time, theoretically creating a shortcut that could reduce travel time and distance. Such "wormholes" remain theoretical and have never been observed, but they're fun to dream about. theory, and later earned his PhD in music theory at Rutgers University. Dr. Lazarus is Music Director for the Joffrey Ballet School. as well as fictitious representative citizens from previous centuries. Between Points A and B – It's hard to comprehend how big space is and how profound an impediment to space travel its size is. Moondust Footprint (lyrics by Bobbi Katz, world premiere) – Most of us who were around in 1969 can remember exactly where we were and how we felt when Apollo 11 brought the first humans to the surface of the Moon. Sally Ride (world premiere) – Sally Ride was not only the first female American astronaut, she is still the youngest American ever to have traveled to space (at age 32) and the first known LGBTQ astronaut. several independent film projects, ranging from short films to web series. Film Festival and was an audience-voted “Best in the Fest” selection. and this is his fourth original composition for the group. Weightless (world premiere) – Astronauts in orbit aren't really weightless, it just seems that way because they are actually in a prolonged, sustained fall back to Earth. after a 32-year hiatus and received his doctorate in astrophysics in 2007.
known as the co-founder and lead guitarist of the rock band Queen. Thirty-nine (world premiere arrangement by David Bass) – Interstellar travel by humans will be practical only at near-light speed or with the astronauts in prolonged suspended animation. Either way, the travelers would return younger than the loved ones they left behind. Science Fact & Science Fiction (world premiere) – The technology depicted in the 1960s in Star Trek is in some cases prescient and in others ridiculous, but we sometimes can't be completely sure which. Women in Space (world premiere) – Although today we think nothing of female astronauts, it's worth remembering that it was once a revolutionary idea, and frustrations remain. Just last month, the first all-female spacewalk had to be reassigned because the International Space Station didn’t have two spacesuits that fit the women. spends time with her beloved daughter. Animal Astronauts (arranged by David Bass, world premiere) – Since the late 1940s, we have launched all kinds of creatures past the Kármán Line (100 km above Earth's surface), paving the way for human space exploration. Little Rover That Could (world premiere) – There have been about 50 missions to Mars since 1960, and most failed. But Pathfinder in 1997, which included Sojourner, the first Martian rover, exceeded all expectations and at much lower cost than previous missions.